Three more Tibetans from the Sichuan province self-immolated in protest against Chinese policies. Three Tibetans have set themselves on fire in the troubled county of Serthar (in Chinese, Seda) in China's Sichuan province, the latest in a series of self-immolations against Chinese rule, sources said Saturday. “On Feb. 3, three Tibetans self-immolated in protest against Chinese policy at a place called Phuwu in Serthar and one of them died," an exile source told RFA. The area is near the border with Sichuan's neighboring Qinghai province, the source said. "This area is far from the main Serthar county town. The survivors are seriously injured though the details are difficult to obtain due to the shutting down of communication lines in the area," another source said. 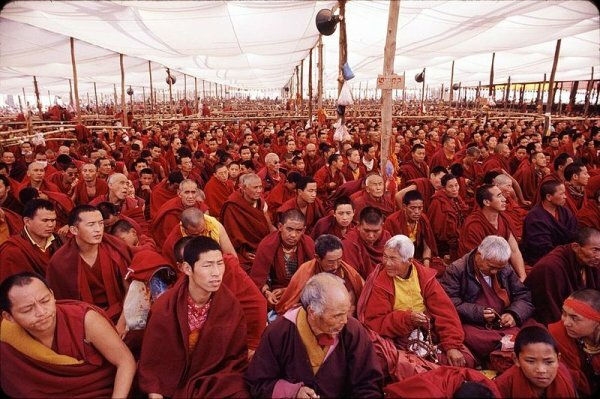 "However, [in the protests] they had called for freedom for Tibet and the return of the Dalai Lama." A third source also confirmed the self-immolations, the number of which has climbed to 20 since February 2009 amid growing tensions in Tibetan regions of China where people have been protesting against Beijing's rule and calling for the return of the Dalai Lama, Tibet's spiritual leader. Official Chinese media reported only two Tibetans were killed after "mobs" armed with, guns, knives and stones attacked local police. Tensions in the Tibet Autonomous Region and in Tibetan-populated areas in China's provinces have not subsided since anti-China protests swept through the Tibetan Plateau in March 2008. But the Dalai Lama blamed China's "ruthless and illogical" policy toward Tibet. He called on the Chinese government to change its "repressive" policies in Tibet, citing the crackdown on monasteries and policies curtailing the use of the Tibetan language.